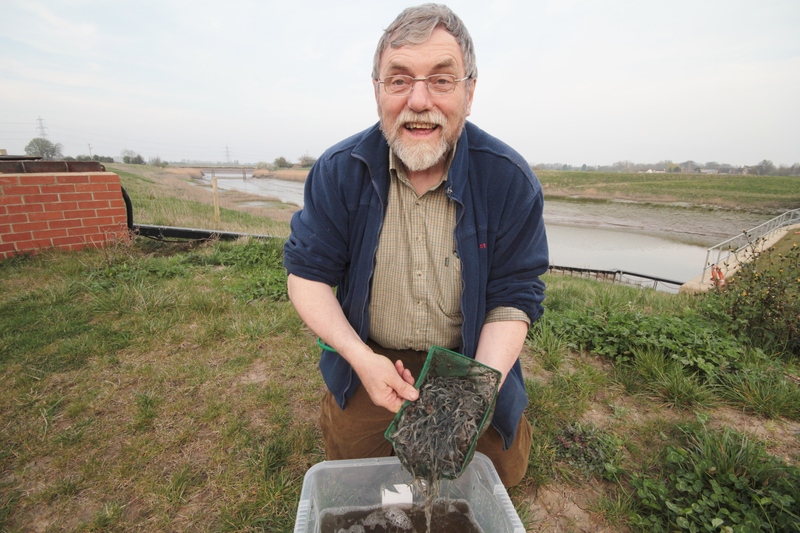 An exceptionally early arrival of large numbers of elvers and eels has been recorded at the new Wiggenhall St Germans Pumping Station elver pass near Kings Lynn. After decades of very poor numbers of young eels returning from their breeding grounds in the Sargasso Sea, a significant improvement has been recorded in 2014 at many sites around the UK. 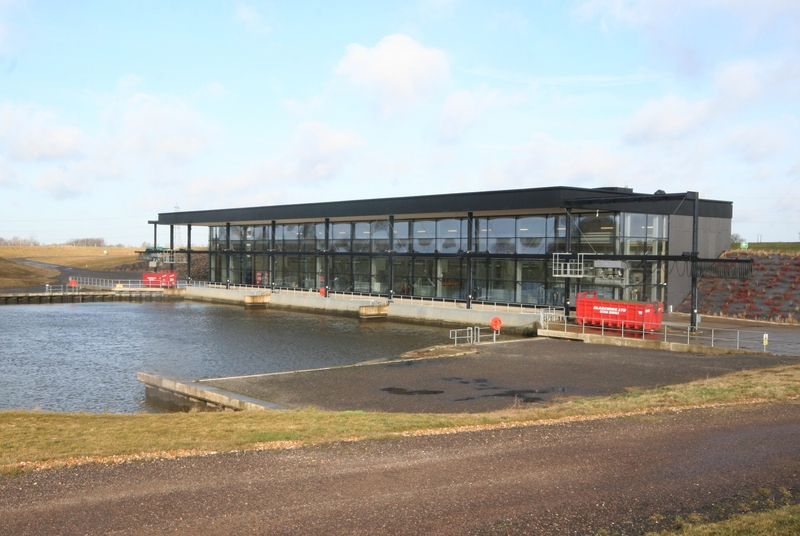 At the new Wiggenhall St Germans Pumping Station, the second largest in Europe, an elver pass has been installed to allow the young eels to migrate into the waterways of the Middle Level catchment. The catchment covers 70,000 hectares of the Cambridgeshire and West Norfolk fens between the Nene Washes near Peterborough and the Ouse Washes from Earith to Downham Market. At the beginning of April the first elvers of the year were seen making their way up the 35 meter long pass from the tidal River Ouse. 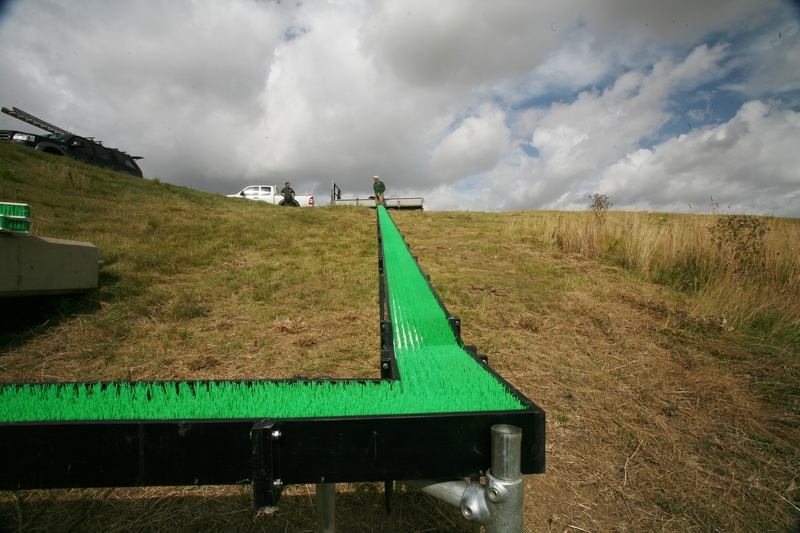 The elver pass is an angled trough with bristle boards inside it that help the eels to climb up it. They are attracted to it by the fresh water that is trickled down the trough from the upstream side. 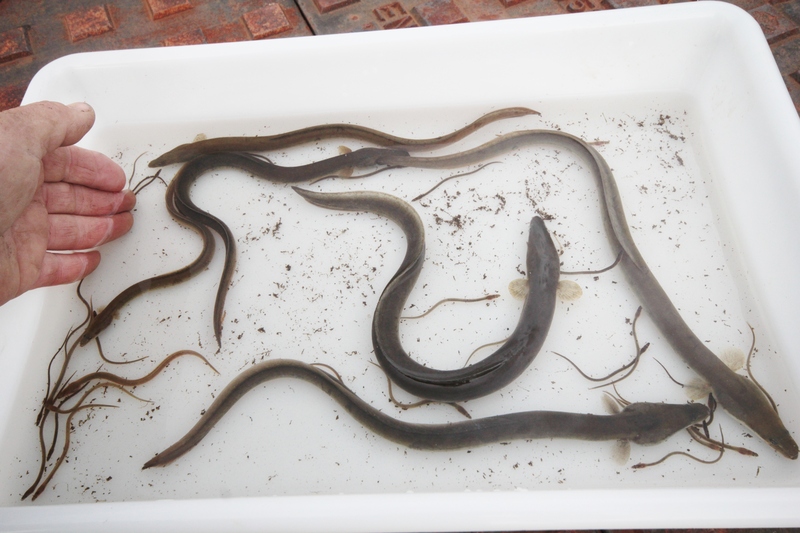 10,000 glass eels were recorded in the first three days of April. The elver pass during construction. The green bristle tufts in the trough enable the elvers to climb its 35 meter length. Glass eels are the early stage of elvers (young eels) and are nearly transparent. They are thinner than a shoe lace and less than three inches (75mm) long. 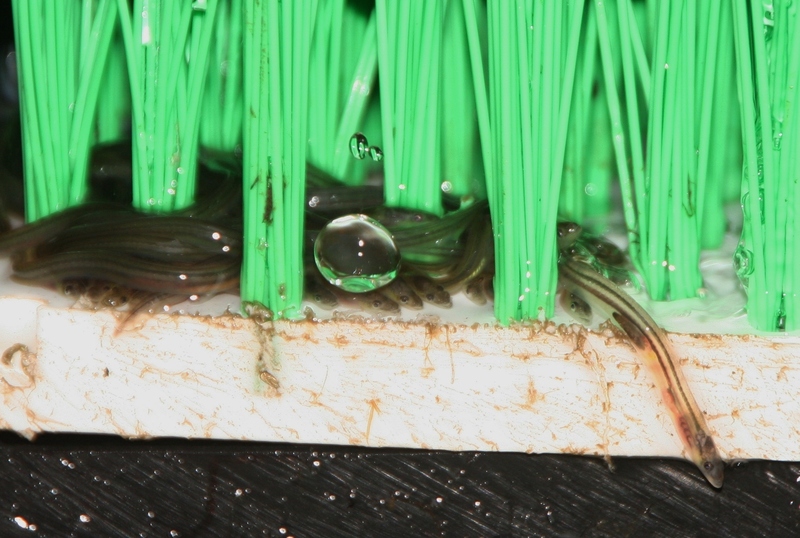 During the first three weeksof April nearly 50,000 elvers made their way through the pass. This is an exceptional quantity for so early in the elver migration period which lasts from April to October. 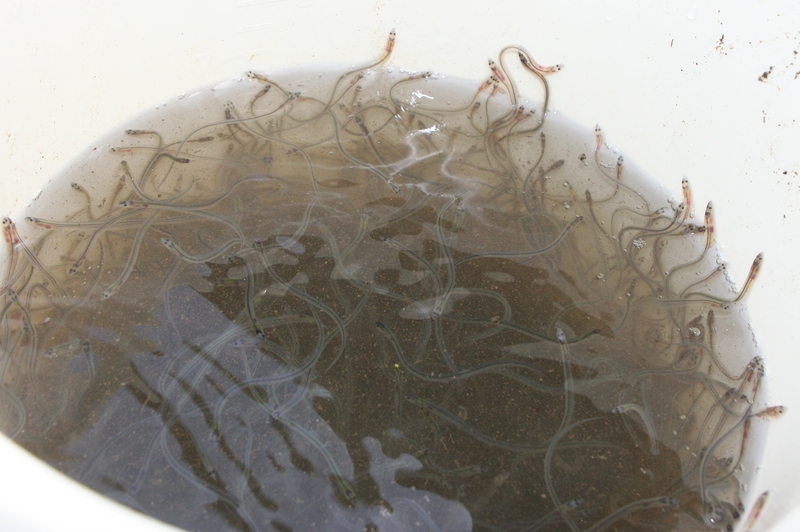 Some of the 50,000 elvers that came through the elver pass during April 2014. There is a chamber at the top of the elver pass where they can rest and be counted. It is difficult to count the small elvers in quantity but they can be weighed and their numbers calculated from the weight. As the season progresses the glass eels become darker and are referred to as elvers. Glass eels at the top of the elver pass queuing up for the final leg of their three-thousand-mile journey. Later, larger young eels also climb the elver pass. They too are looking for fresh water in the Middle Level catchment to feed in. They will spend the next 10 to 15 years growing and putting on fat that will sustain them on their long journey back to their breeding grounds in the Sargasso Sea. Cliff Carson, Environmental Officer for the Middle Level BAP Partnership said ‘It is great to see a boom year for elvers after so very many years when their numbers were less than 5% of the former totals returning to the UK. We hope this improved trend will continue. The St Germans Pumping Station elver pass will give excellent access for eels and elvers into the Middle Level rivers and drains that will benefit eel population recovery in the future’. Cliff Carson is the Environmental Officer for the Middle Level Commissioners. The Middle Level Commissioners are one of the partners in the Water Care Partnership, more information on them can be found at www.middlelevel.gov.uk.